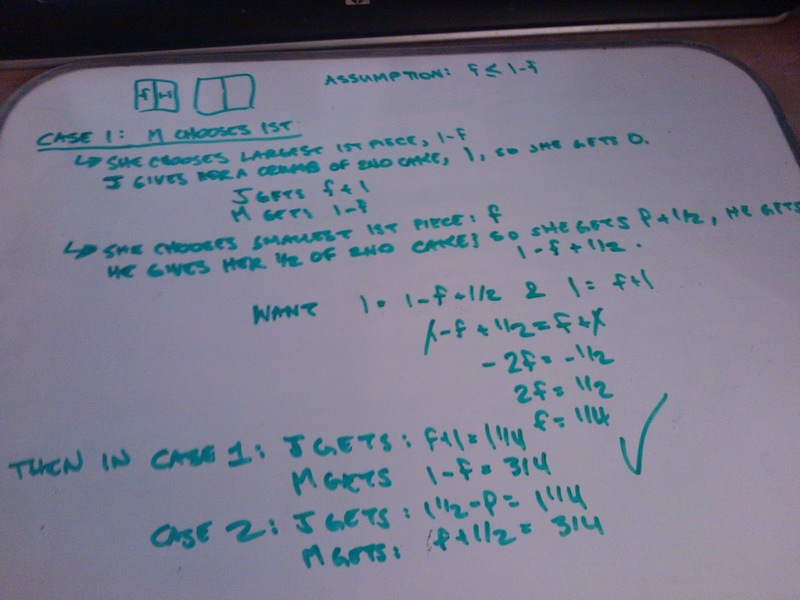 As I mentioned in yesterday's post, I've been working through a book of puzzles for programmers. The title of the first problem is 'A Sweet Tooth', and is very apropos since I had a visit to the dentist this morning (I should probably visit the dentist more and do puzzles less, but that's another matter). 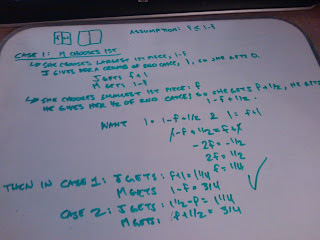 In the problem, there are two children playing a game of cutting cakes and trying to get the largest pieces. Dennis Shasha, the author, does a pretty good job of explaining the problem, but the hints he gives are a bit wordy and I think those who haven't done a lot of math proofs before might not bother with them. 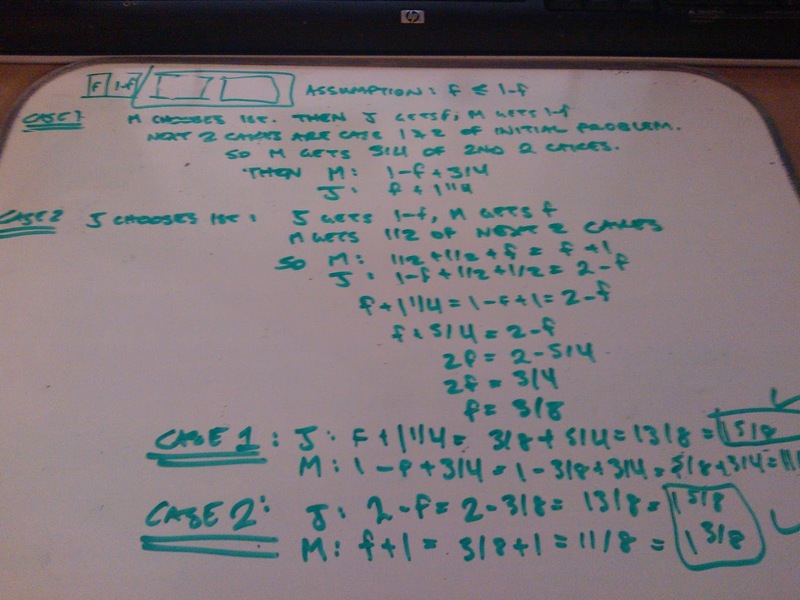 I think it's easier to state assumptions and separate out the reasoning into cases, working through the math for each methodically. 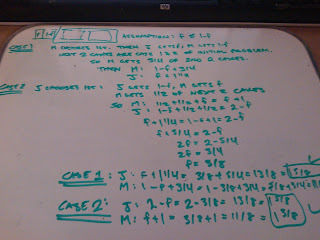 I like to write mine out on a white board and I wrote out all the algebra, but ended up with the same solution as the one in the book. I think it would be fun to code up a generic solution for x number of cakes. I'll try to post it here when I do.